← What can you, your family, and your congregation do to protect babies and help their families? Blessings to you my fellow servants of the Church. My greeting atop this note is meant to be equivalent to “Merry Christmas.” I like the title above because it speaks to the very essence of Jesus’ birth. It is easy during this season to be wrapped up in the traditions that focus on the manger, the rudimentary conditions, the dark night sky over Bethlehem, and the baby in the arms of a doting father and nurturing mother. The traditions are fine and can be very helpful for a proper celebration of the High Feast of Christmas. The caution for us all is to remember that the events of Christmas in Bethlehem must always be understood in light of Jerusalem 33 years later. Apart from Jerusalem the events of Bethlehem get swallowed up in trappings that ignore or forget about the atonement. The Son of God becomes flesh and dwells among us full of grace and truth says John’s Gospel. It is a mystery to say that God stooped to become man, it is also true to say that in Jesus the Christ man is lifted to a life beyond the fate of all humanity. Maybe it will be helpful for us to think of the Nativity scene in terms of a Friday through Sunday some three decades later. The wood of a crib would preface the wooden instrument of crucifixion. The dark night of Bethlehem would pale in comparison to the darkness that fell upon Calvary at 12:00 noon. The swaddling clothes which were a sign to the shepherds would give way to a shroud. 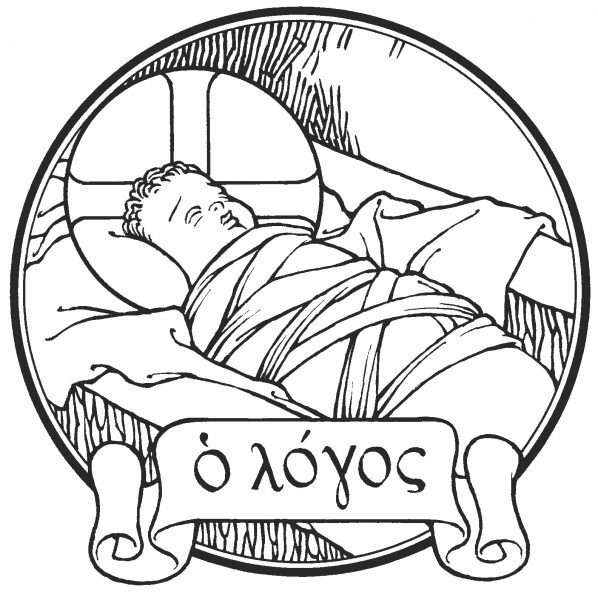 The stone manger in which the baby Jesus was laid is miniscule in relation to the stone rolled over the tomb as He lay in quiet death. The angels who announced His birth in heavenly chorus would return to ask the question “Why do you look for the living among the dead? He is not here, He is risen.” Jesus mission from His birth was to atone for the sins of the world even when it would cost Him His life. He willingly gave it up as He powerfully took it back again in victory over sin, death and the devil. All this He did for us, for you and for me. “I have good news of great joy. Born to you this day in the City of David a Savior who is Christ the Lord.” A Savior, our Savior gifted to us – flesh and blood to eat and to drink for forgiveness, life, and salvation. So tiny and helpless in the little town of Bethlehem. Appearing even more helpless in the city of Jerusalem. Helpless according to the human eye but not according to the human/divine Son of God. Keeping Bethlehem in the shadow of Jerusalem allows us to celebrate rightly the miracle of the Incarnational Festival of Joy. This entry was posted in President Saunders. Bookmark the permalink.